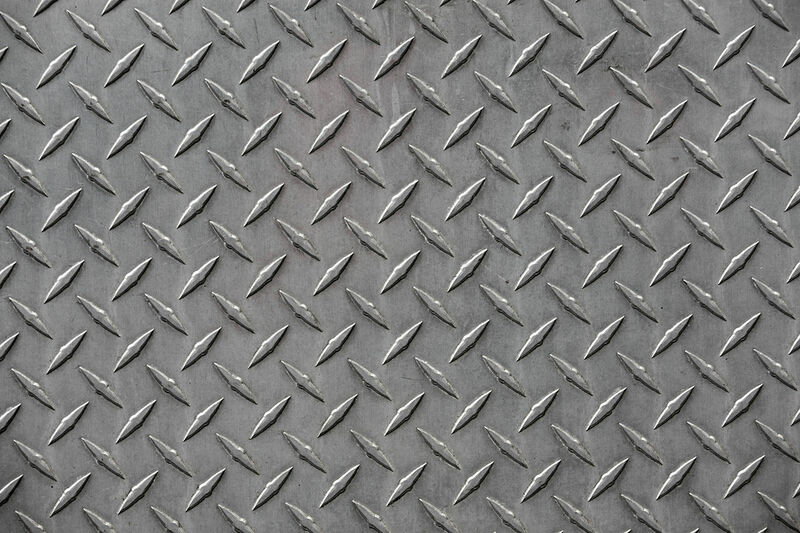 Aluminum tread plate (also sometimes known as diamond tread plate, diamond plate, checker plate or floor plate) is available at Alumet Supply in the alloy 3003-H22. Aluminum diamond tread plate has a bright (polished or reflective) finish in the 3003-H22 alloy. Aluminum diamond tread plate is strong and lightweight. It is also corrosion-resistant and moisture-resistant, making it great for outdoor or indoor use. The aluminum diamond tread plate has a beautiful pattern that is slip-resistant and provides great traction. Aluminum diamond tread plate has the raised diamond pattern on one side and the reverse side is smooth. Aluminum tread plate is easily formable and fabricated. Aluminum tread plate can be drilled, sheared, and welded. If you are looking for aluminum diamond plate, Alumet Supply has a wide variety of tread plate gauges and sizes to choose from. Alumet supply provides aluminum tread plate in the standard lengths and widths, such as 48″ x 96″ or 48″ x 120″. Alumet Supply can also provide tread plate in custom sizes (custom lengths up to 40 feet!). Alumet Supply also provides anodized aluminum diamond tread plate if the standard bright tread plate finish is not what you are looking for. Alumet Supply can provide other alloys in aluminum diamond tread plate as well, including 6061, 5086 and 5052. We also will provide firetruck quality aluminum tread plate upon request. If you are looking for a lighter gauge with the diamond tread pattern, visit our embossed aluminum page to learn more about our diamond tread embossed availability (.025 through .063 gauges).